In the ongoing battle against the oppression of wires, Bluetooth speakers, and most other Bluetooth devices, are our heroes, don’t you think? We are used to taking our favorite tracks anywhere we go, and we always expect excellent audio quality. However, with so many products available in the market, it is difficult to find the best waterproof Bluetooth speaker that will accommodate your needs. Fortunately, we are here to assist you in the buying process and provide you with reviews of the top available products. Whether you want to energize your outdoor activities, play music by the pool, or just enjoy your playlists while in the shower, having the best speaker nearby will let you boost the mood – all wirelessly. Before buying any speaker, check out this cheat sheet to determine what factors you should consider depending on your activities and needs. Once your requirements are precise, make sure to check out the products and get a speaker that will let you enjoy your favorite tracks. Many Bluetooth speakers offer various features. If you are searching for a portable one for your next party or outdoor activity, here are some factors to consider. The most vital factors to look out for are portability and durability. 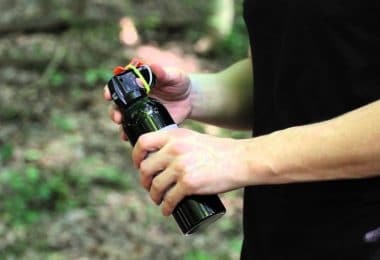 These will save you a lot of worry and trouble as you want to make sure that your Bluetooth speaker will not fail you on your next outdoor trip. 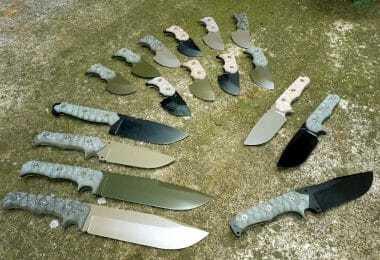 When it comes to durability, consider the outdoor activities involved. 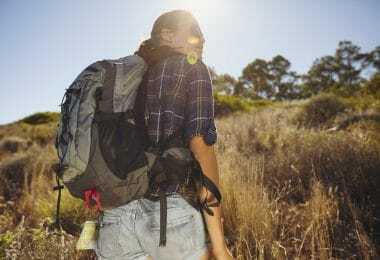 If you intend to use a Bluetooth speaker for camping or hiking, you may opt for portable and rugged speakers which are designed to resist shock, dirt, dust, water, and other outdoor elements. If you need a speaker on the patio, a less rugged model would be a good option. It’s always a fine idea to get a Bluetooth speaker that offers long battery life, especially if you need to use it for overnight parties, all-day adventures or hiking trips. Bluetooth speakers with long battery life usually require bigger sizes. You will want your speaker to keep the music going without worrying about carrying the device around. Look for a speaker with a high mAh value and portable enough so you can take it anywhere you go. You will want your Bluetooth speaker to keep pace with your lifestyle by surviving spilled drinks, raindrops, and stormy weather. From indoor parties to the beach to all your outdoor activities, a waterproof, weather-resistant, and dirt-proof speaker will keep on playing your favorite tracks no matter where you go. You may also consider going for models that are submersible. These speakers can withstand an accidental plunge into the lake or pool, keeping your playlist going. Another factor that you may want to consider is the ability of the Bluetooth speaker to pair with other speakers. This feature is practical if you wish to amplify your listening experience and share your playlists with the crowd in an outdoor setting. By pairing many speakers, it also lets you listen to your tracks anywhere in your home without having to carry the sound system with you from one room to another. With a speakerphone feature, taking calls from your phone can be made on your Bluetooth speaker. They have built-in microphones and give you the option whether to continue listening or accept the call. This feature is also helpful when you do not want to miss any urgent calls. Most speakers with this setting usually reduce the volume of music streaming to make you aware of the incoming call. 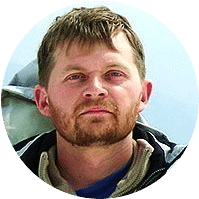 Now that you have read the basic and added features to consider let us take a look at the best Bluetooth speakers for outdoor enthusiasts. 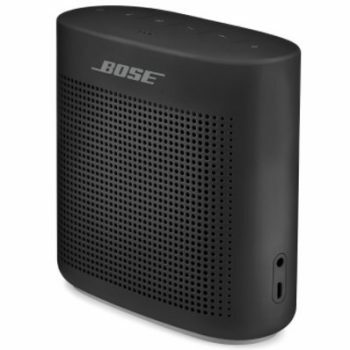 Description: The Bose SoundLink Bluetooth Speaker II comes with a soft-touch silicone exterior to make this device easy to pick up with wet hands. Weighing only 1.2 pounds, this water-resistant Bluetooth speaker gives a compact durability that allows you to take it anywhere you go. With its built-in speakerphone, it lets you answer calls without having to hold your phone. This device also lets you switch between connected devices, skip tracks, and more. Voice prompts guide you through the pairing. Featuring a reliable wireless range of around 30 feet, it makes listening and connecting easy. It also remembers the last eight recently used devices to let you reconnect your phone, laptop, and tablet. Available in coral red, aquatic blue, polar white and soft black, this wireless speaker offers up to 8 hours of music. In addition to the device itself, the Bose Connect app allows you to make the most out of the Bluetooth speaker. The app makes pairing and switching between devices more comfortable, and it comes with additional features, tips, and settings. By downloading the app, you will receive an update when the latest software is available. 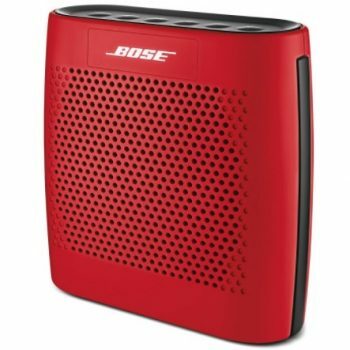 Related: If you need a separate bag for your Bluetooth speaker, the BOVKE for Bose Soundlink II gives excellent protection for Bose Soundlink Color Bluetooth Speakers and lets you store all accessories. It also includes wrist strap for additional comfort when carrying the item anywhere. 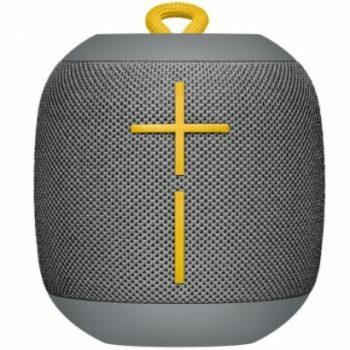 Description: The UE WONDERBOOM Super Portable Speaker allows you to enjoy your music with its 360-degree sound. With its maximum sound level of 86 dBA, this drop-proof device offers up to 10 hours of playback to make sure that it will provide immersive sound throughout the party. This device is drop tested from 1.7 meters height. This Bluetooth speaker packs strong sound into a compact-design speaker, allowing you to pack it in your backpack or use the loop to strap it to your bag or backpack. It lets you connect up to 8 Bluetooth, and Bluetooth Smart enabled smartphones, laptops, tablets and other devices. This makes reconnecting to your phone or friend’s tablet easier. With its waterproof design, using this device in the shower or pool increases your delight and boosts the mood in your party. It is IPX7-rated waterproof for up to 30 minutes and 1-meter depth, making this device a good option for pool and foam parties. Just tap to skip, pause, or play your favorite songs. If there is a need to double the sound, pairing it with another WONDERBOOM speaker will provide you with more volume. Related: One of the most frustrating experiences, when you are outdoors, is seeing your device’s battery drained. Whether you need to recharge your tablet, phone, laptop or Bluetooth speaker, the RAVPower Power Banks 22000 mAh Portable Charger offers multiple charging with 3 USB ports. This portable power bank will also let your family or friends recharge their devices as you go on with your outdoor activities. 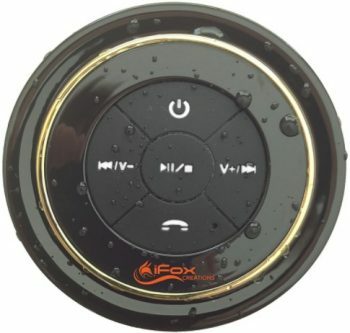 Description: The iFox iF012 Bluetooth Shower Speaker is entirely waterproof, allowing you to take this device when showering, swimming or relaxing by the lake. It is capable of being immersed in water up to 3 feet in depth, which reduces your worry about the speaker getting wet or falling into the pool. This device will serenade you in the center of the pool or rain. Via Bluetooth, this lightweight speaker allows you to connect your phone, tablet or computer in less than 6 seconds. It allows you to adjust the volume, control songs, and answer urgent phone calls. Whether you are at home, on the road, in the shower or at the pool, this speaker will connect to your devices from up to 33 feet away. This stylish speaker lasts for up to 10 hours of playtime and fully charges in less than 3 hours. The suction cup attaches to ceramic, glass, and other smooth surfaces. This allows you to stick it almost anywhere, such as shower walls, bathroom tile, kitchen counter, and car windows. Related: Whether you are working out or having fun outdoors, you will always find yourself wanting to listen to your favorite songs. The Bose SoundSport Wireless Headphones provides a high-quality audio experience, thanks to its Bose active EQ. This sweat-proof device is secured by a soft silicone material. With its Bluetooth and NFC pairing, connecting to your phone is easy. It also lets you skip tracks, adjust volume and take incoming calls. 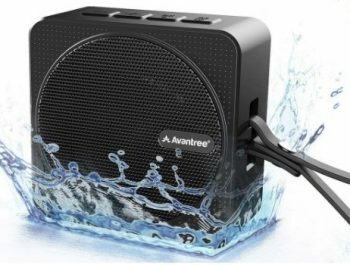 Description: The Avantree Bluetooth Shower Speaker delivers powerful sound and allows you to play, pause, skip songs and adjust volume conveniently. With built-in Bluetooth 4.2, it lets you connect compatible phones, tablets or computers with a range of up to 10 meters. 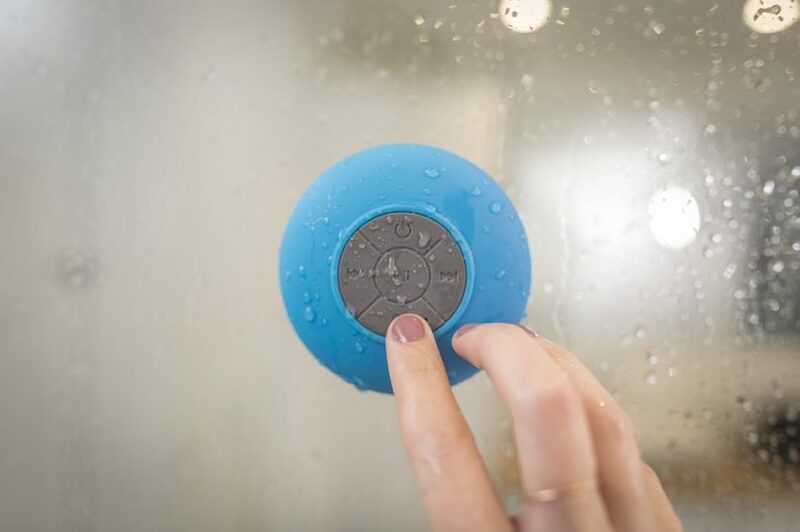 This waterproof speaker lets you enjoy listening to your favorite songs or audiobooks in the shower, bath, poolside or beach. With a lightweight design, it plays continuous music for up to 10 hours on a single charge. It also comes with a handle belt to make it easy to take around when going out, partying or traveling. One of the great features of this speaker is the SD card mode, which allows you to listen to saved songs, podcasts, and audiobooks using your SD card. This feature is also ideal for kids as it will enable them to listen to their favorite stories, and for elders who want to enjoy their favorite music and audiobooks. Related: Whether you want to take photos underwater or you want to control your skip, pause or play songs while you are in the middle of the pool, taking your smartphone with you will be the best choice. The Universal Waterproof Case is used for Samsung Galaxy Note, iPhone 6, iPhone 6s/6plus, LG Lenovo, Huawei, and more. This item lets you take your phone while showering, boating, swimming, diving or drifting. 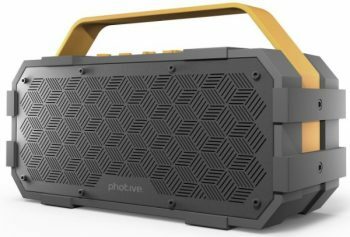 Description: The Photive M90 Portable Waterproof Bluetooth Speaker amplifies higher and deep low bass frequencies, thanks to its stereo sound and a passive subwoofer. This speaker comes with a sturdy rubberized handle that allows you to grab and carry it anywhere you go. With dual ten-watt drivers, this device allows you to enjoy crisp, clear audio with impressive volume even in a crowded area. The waterproof and shock-absorbing design of this Bluetooth speaker makes it a good option for pool parties, beaches, long drives, gym and indoor parties. It features a sturdy aluminum grill and rugged construction to match an active lifestyle. With its water-resistant housing, tumbling it by the water won’t cause a problem. This speaker offers up to 10-hour battery life, allowing you to keep bass and stereo going for extended hours. Equipped with 20 watts of power, its energetic tones fill the open air with vibrant, bold, and robust music. It also delivers excellent audio quality in indoor basketball courts. Related: With the advancement of technology, there are tools that make our daily tasks easier. Whether you want to play music, control appliances, search the web or make calls and listen to audiobooks, the Echo Dot allows you to control devices that use Alexa. It also connects to headphones or speakers through Bluetooth or 3.5 mm stereo cable, allowing you to manage smart devices by simply using your voice. Description: The Bose Soundlink Bluetooth Speaker has a compact design, making it easy to pack inside your backpack or carry while walking outdoors. It plays music in clear, full audio and has a range of about 30 feet. Pairing Bluetooth-enabled devices with this speaker has been made easy as voice prompts guide you through the entire connecting process. 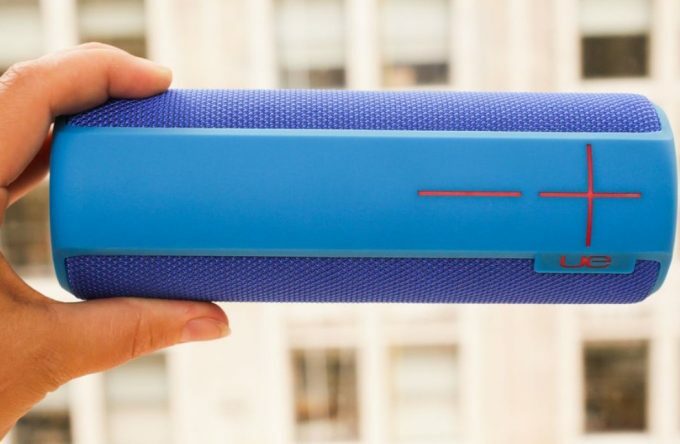 This speaker is available in mint, blue, white, red, and black to suit your lifestyle. The top exterior is made of rubberized plastic, with four rubber feet on the bottom and rubber bumpers on the side. 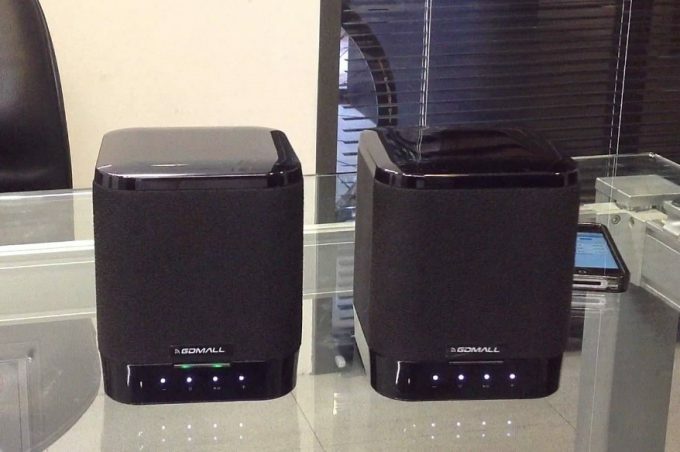 The produced sound is loud enough to boost your next indoor or outdoor party. Another great thing about this speaker is that it allows you to connect two Bluetooth devices at the same time, resulting in smooth switching between the devices. It pairs with a phone, tablet, PC and other Bluetooth devices and also remembers the eight most recent devices you’ve connected. Related: Another speaker from the same company has a unique design that allows you to enjoy your songs while staying aware of your surroundings. The Bose Soundwear Companion Wearable Speaker provides clear, full sound that offers an immersive sound experience. With its open design, it keeps you connected to the world around you and lets you make calls, skip or pause tracks, and access your smartphone’s Google assistant or Siri. 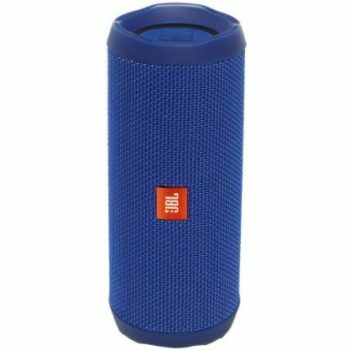 Description: The JBL Flip 4 Portable Bluetooth Speaker allows you to connect up to two Bluetooth-enabled devices at a time, letting you switch from one device to another easily. This lightweight speaker delivers powerful stereo sound and offers up to 12 hours of continuous audio playtime on one charge, thanks to its built-in 3000 mAh Li-ion battery. With its durable and waterproof fabric materials, this speaker is an excellent all-weather companion and lets you take your party anywhere. This will reduce your worry about spills or rain. Submerging this device in water is also possible. It also comes with JBL bass radiator that shows how powerful the speaker is. This feature will amplify your favorite tracks to power your party. It has a simple button that allows you to activate and talk to Google Now or Siri. This Bluetooth speaker also comes with built-in noise and echo canceling speakerphone for seamless calls. It also features JBL Connect+ technology that lets you connect to over 100 JBL Connect + enabled speakers to improve your listening experience. Related: There may be times that you do not want your things to be a mess inside your backpack. In such situations, the BOVKE Travel Case for JBL Flip 4 Speaker may come in handy. It is made of premium EVA that gives excellent protection. Providing space for the speaker, USB cable, and other accessories, this item is also semi-waterproof, anti-static, and shockproof to reduce damages caused by accidentally dropping or bumping. Description: The Archeer A106 Outdoor Portable Bluetooth Speakers offer 10 hours of playtime at 100% volume and up to 20 hours at 80% volume. This speaker will give you a long time to enjoy your favorite tracks while relaxing, partying or exercising outdoors, thanks to its built-in 2200 mAh Li-polymer battery. It also requires 3 to 5 hours to recharge completely. Operating this Bluetooth speaker is easy. It has accessible function control for On/Off, volume control, playback control and Bluetooth pairing. It also comes with blue/red LED indicator to determine connecting and charging status. 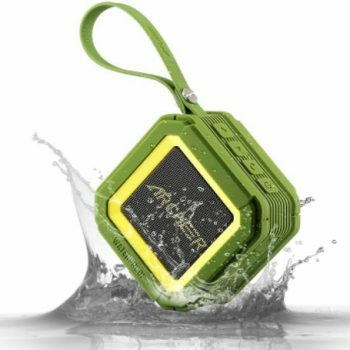 Designed to be shock-resistant and waterproof, this speaker is capable of withstanding water, dust, and drops while still providing excellent sound when paired with your Bluetooth-enabled devices. It also comes with a durable rubbery finish lanyard, making it a good option for kayaking, bike excursions, and other bumpy activities. 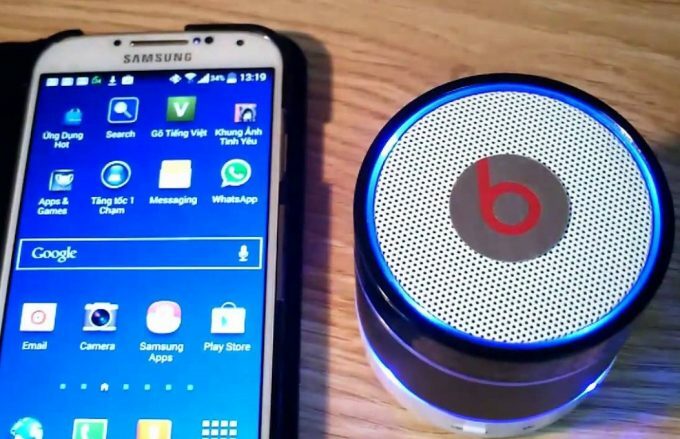 In addition to premium audio quality, this speaker also lets you answer incoming calls by greeting you with an announcement instead of your ringtone. If you are having a dip in the pool or relaxing in the bath, its built-in mic allows you to chat without having to grab your phone. Related: Party is always fun with multiple colors and lights. No matter what kind of celebration you will have, the SUKEY Party Lights Disco Ball Sound Activated Lights have seven bright colors and different speeds that change automatically according to the rhythm. Bluetooth speakers are an innovation that makes it easy to listen to high-quality music without worrying about wires. Simply connecting to the speaker via your gadget takes music to the next level and allows you to enjoy your favorite tracks to the fullest. From portability to durability to battery life and additional features, there are multiple things you should consider before buying a speaker. There are many waterproof Bluetooth speakers available nowadays, so choose the device that best suits your music needs. Let us know which Bluetooth speaker you are using and how it is turning out for you. Do you have any exciting outdoor experiences to share with us? Share your thoughts in the comment section below.